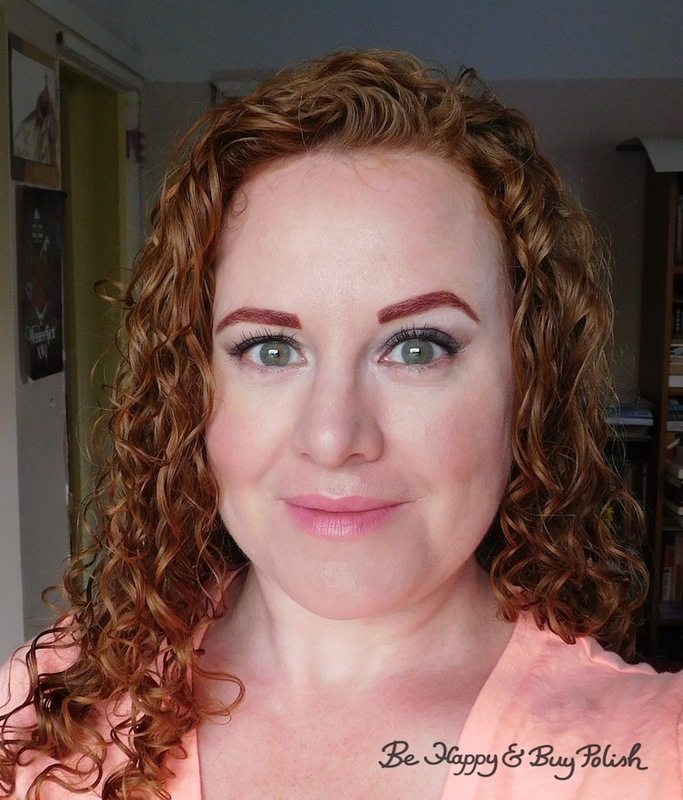 Posted in blog business, eyeliner, eyeshadow, lipstick, makeup, mascara, pictures, Press Sample	by Jessica W.
Afternoon all! I have my second insider look of the month for Glamour Doll Eyes to show you today. This includes a look I’ve never done before: colored eyebrows! I’m using Chasing Ghouls (Halloween 2014 Gift With Purchase), Spider-Sense, and Malicious. 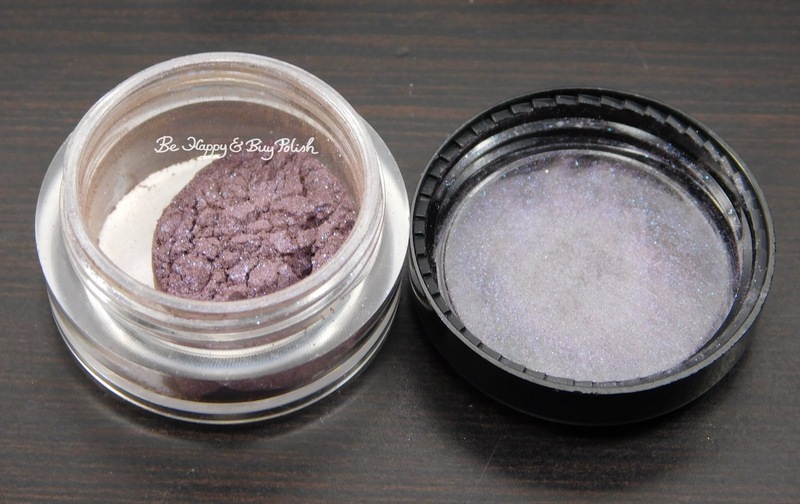 Malicious is a purple taupe with blue sparkle and green-blue duochrome. 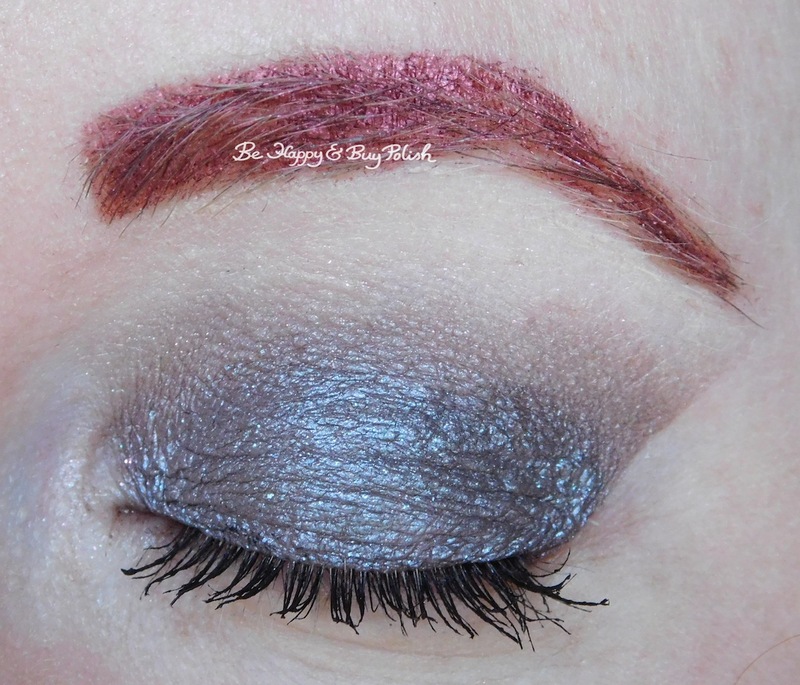 Described by the site: a deep taupe base with a blue duochrome. Spider-Sense is a red-pink with blue sparkle. Described by the site: a medium to dark red with blue sparkle. From top to bottom: Malicious, Spider-Sense, Tattooed Remix. On the left side is over NYX Cosmetics Milk and on the right over GDE Foil Me. For my eyebrows, I did them as normal (i.e. filling them in). Then I mixed Spider-Sense with Foil Me from GDE and applied it to my eyebrow using a slanted stiff brush. Then I used clear mascara to set it. For my actual eyeshadow look, I started with Chasing Ghouls all over. 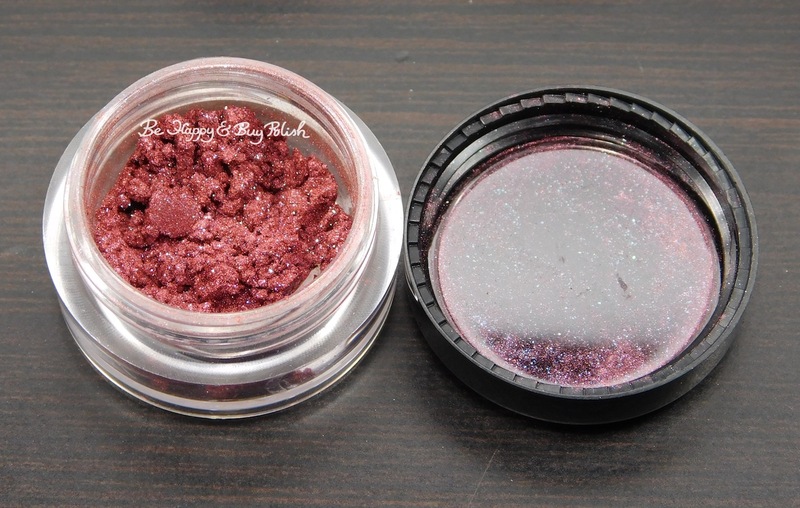 Then I used Malicious all over the lid and blended it out in the crease. After that, I went back with Malicious mixed with Foil Me just on the lid itself. I have to admit that I was super nervous before taking the first step in using Spider-Sense to color in my eyebrows. Like, stomach butterflies nervous. But I love how it ended up! I can’t wait to try a gold brow look, or my friend Nichole said I should try a fire eyebrow look. What do you think? 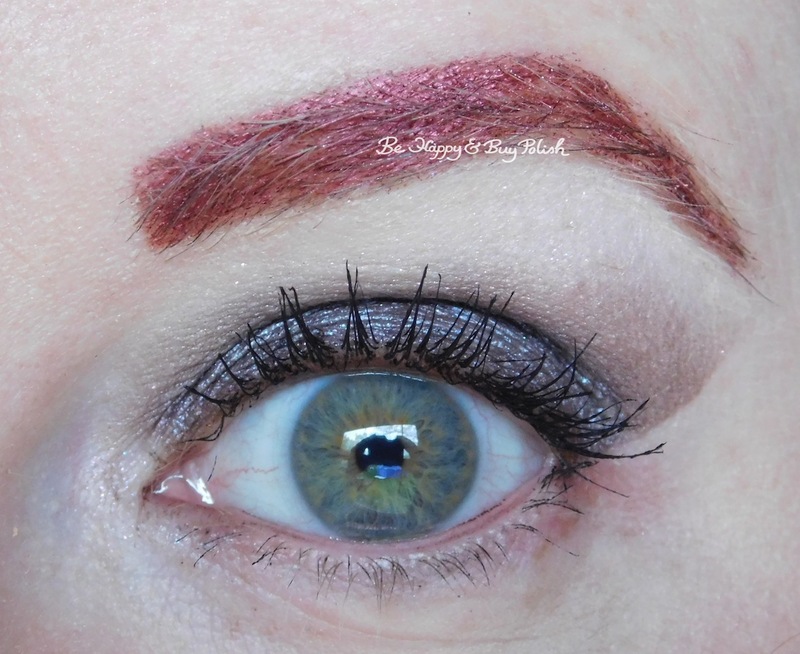 Have you ever tried out a colored brow look? 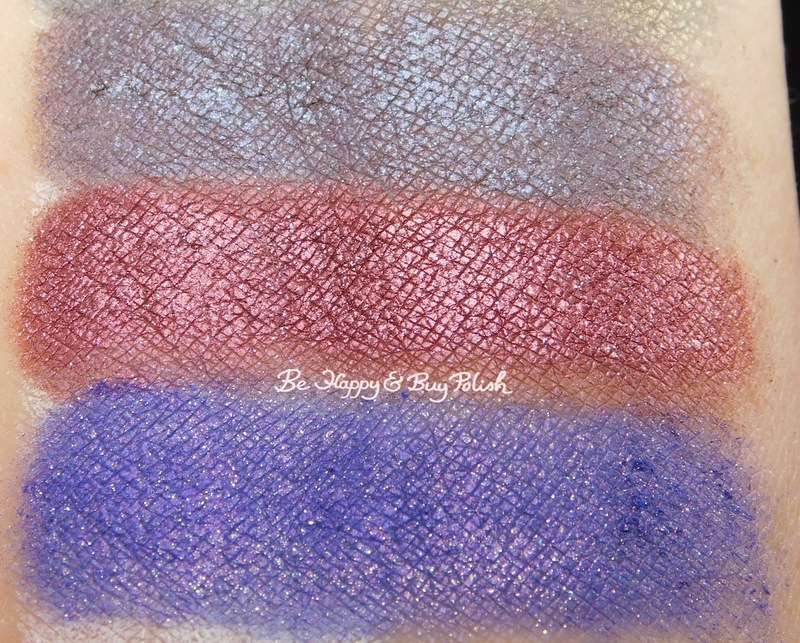 Some lovely eyeshadows those are! 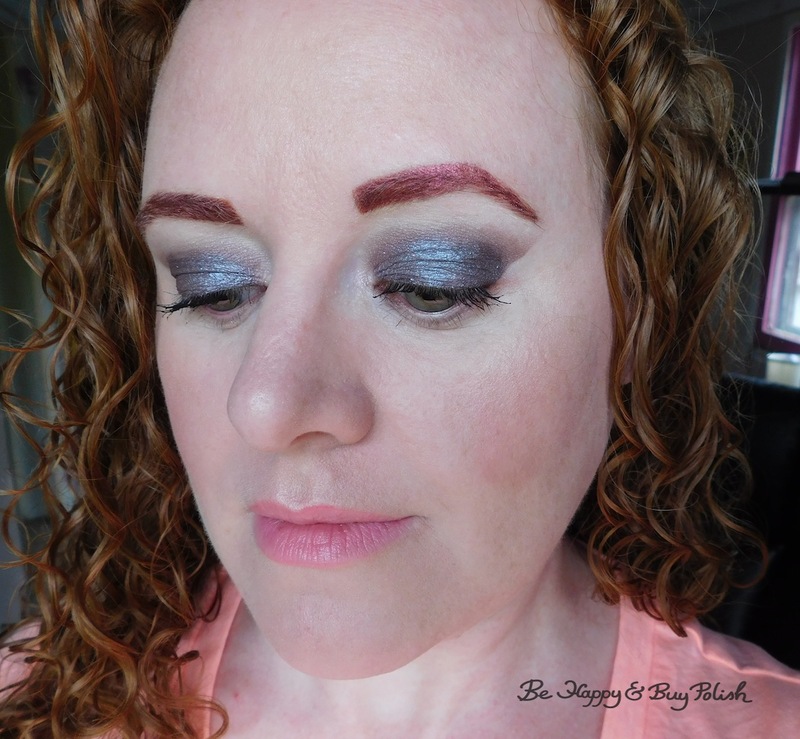 It really makes your brows stand out – love it!